It will be a weekend of remembrance for hundreds of Orthodox Christians in Gloucestershire with special prayer services for Ukraine and Russia. The Russian Orthodox Parish from the Church of St John Chrysostom in Bentham will hold a service to remember and pray for people in Ukraine and Russia. Today’s Satservice, which will start at 10am, is being held following the Crimean crisis. The international crisis, principally involving Russia and Ukraine, started in February this year over the control of the Crimean Peninsula. Philip Hicks, churchwarden for the Russian Parish, said: “What is happening in Ukraine is boarding on civil war. “Almost 50 per cent of our parishioners came from this side of the area. Many of them are deeply concerned about family. The county is home to numerous Orthodox Christians, some of whom are British converts from churches such as the Anglican and Roman Catholic communions. Many have also come to the county over the years from countries including Cyprus, Greece, Ukraine, the Baltic states, Russia, Belarus, Bulgaria and Romania and some from Poland. There is a Ukrainian Association in Tredworth and it is believed there are around 300 Ukrainians in Gloucester alone. Tomorrow, the Greek Orthodox Parish, also from the Church of St John Chrysostom, will hold a memorial service at 10am to celebrate the life of the late Rector of the Parish of St John Chrysostom, Father Anthimos Papandreou. At 1.30pm families can enjoy a fun day with a barbecue, bouncy castle and games. The Greek Orthodox Community in Cheltenham started church services at St Luke’s Church in Cheltenham in 1986. 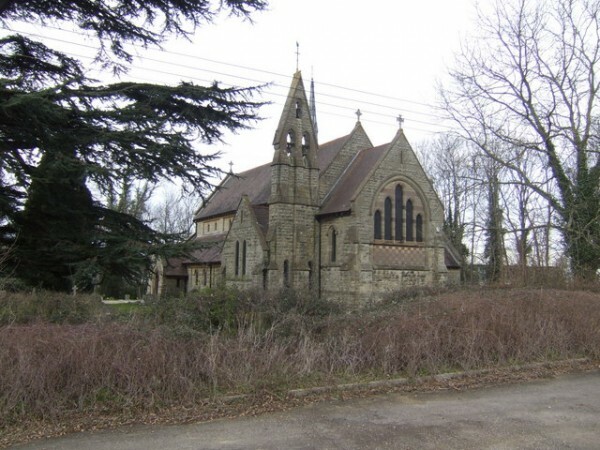 Services were very rarely held and were conducted firstly by priests from Oxford until 1990, when The Archbishop of Thyateira and Great Britain Gregorios, established the present Church of St John Chrysostom. The church services were then held once a month on the second Sunday and they were conducted by various visiting priests until May 1999, when the late Father Anthimos Papandreou of Eternal Memory was appointed the priest in charge. The church has since moved into its own church building in Bentham and services now take place every Sunday, from 10am to 1pm. Both services will be held at the Orthodox Church of St John Chrysostom in Bentham Lane.